Born and raised in Northern, NM, I feel fortunate to have called Santa Fe home for 33 years. It is my goal to help my clients realize their dream of home or land ownership in Santa Fe or Northern NM. For me, the three most important words in Real Estate are not Location, Location, Location (how can you go wrong in Santa Fe) but rather Patience, Persistence, and Professionalism. I am committed to these three P’s and in providing each of my clients with exceptional service in EVERY way. My clients rely on prompt responses to questions, support, availability, creativity and above all professional knowledge and experience during every step of the home selling and purchasing process. My goal is to provide a level of service so exceptional that you will not only consider hiring me in the future but also refer me your friends, family, and neighbors. My background, includes an MBA with an emphasis on Marketing and Communications which lends to the savvy marketing of your home and excellent skill in negotiating the terms of a contract. 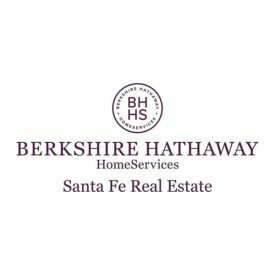 Having spent the last nine years as an accomplished Realtor in Santa Fe and Northern NM I have the experience and in-depth knowledge of the market to make your homebuying or home selling experience as worry-free and successful as possible.